Applications for Transfer Certificate is to be given at least a month in advance. 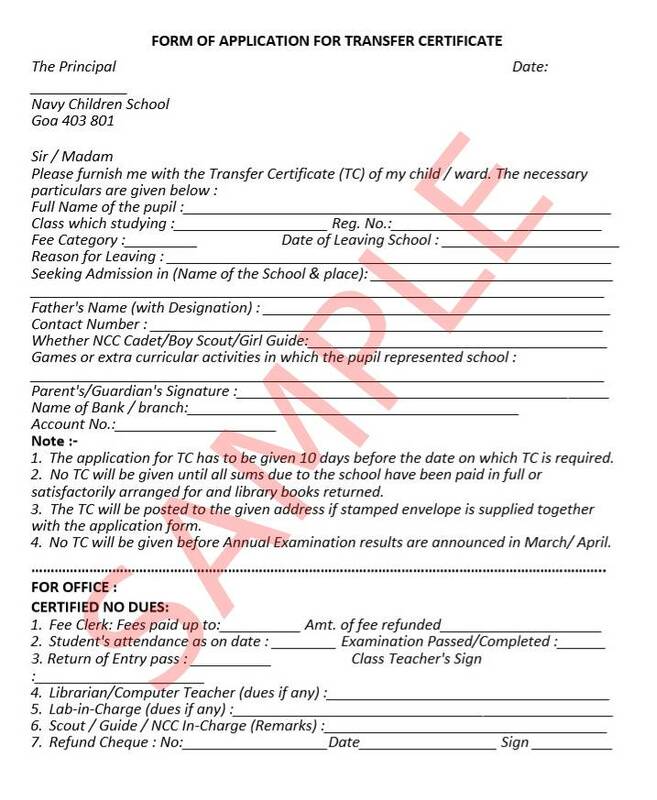 Transfer Certificates will be issued only on clearance of all dues and surrendering of School Identity Card. Duplicate copies of Transfer Certificate is not ordinarily issued. In exceptional cases, a duplicate copy may be issued on production of an affidavit that the original Transfer Certificate has been irrevocably lost. The responsibility of any possible misuse with rest upon the parent. In case of cancellation of the Transfer Certificate, Rs. 200/- will be charged as fine. The duplicate copy of the Transfer Certificate will be issued only on payment of Rs. 50/- as fine.